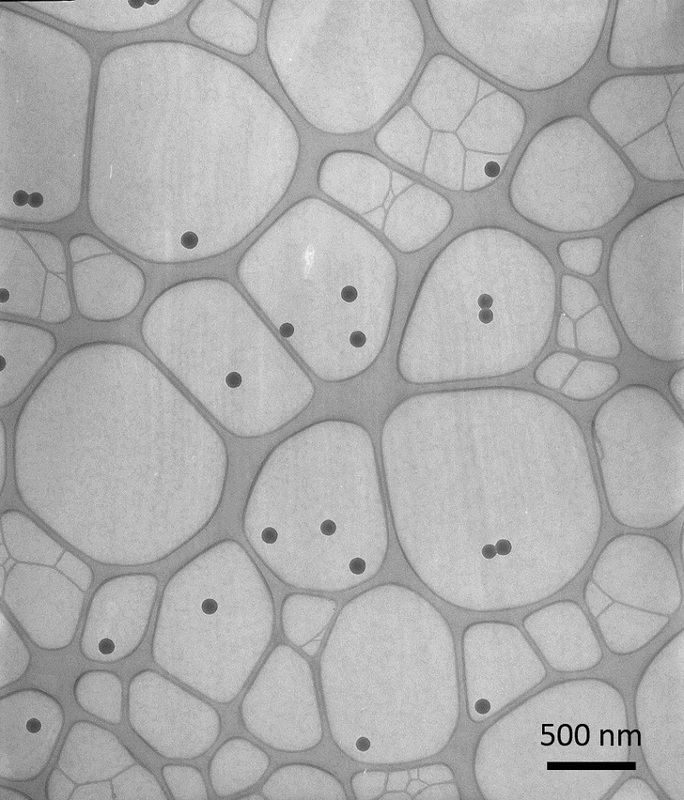 Our Ultra-Thin Carbon films on a Lacey Carbon support were developed to provide users with a high quality robust and uniform continuous film ideal for Cyro-TEM preparation and nanoparticle characterisation such as looking at Nanotubes, virus particles and other small particulate material. 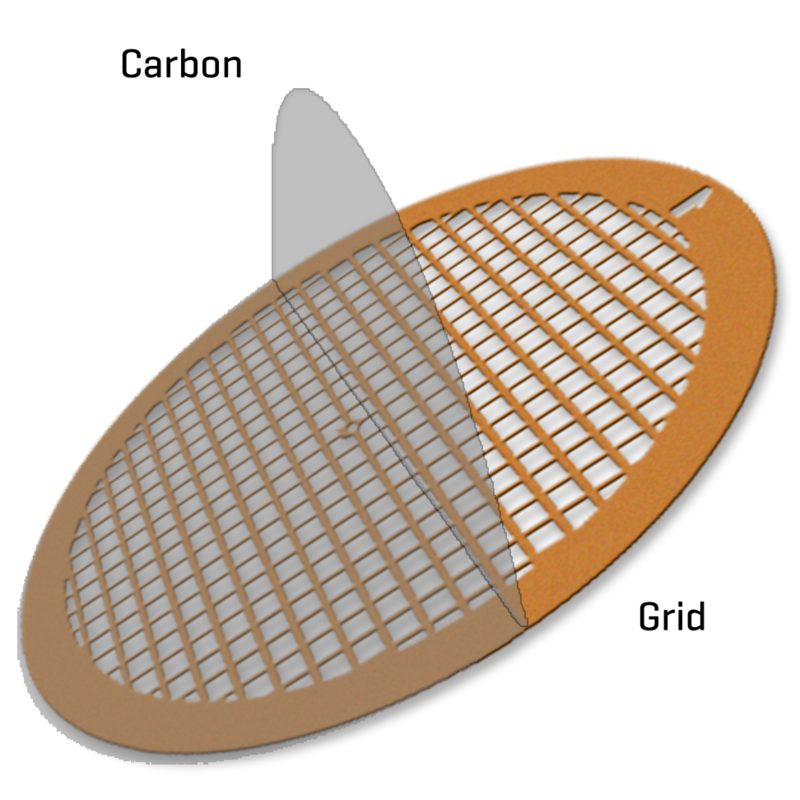 A thin layer of Carbon, estimated to be around 5nm thick, is applied on top of a Lacey Carbon film, supported by a 300 or 400 mesh grid. These films are currently available on either Copper or Gold grids in packs of 25. Our Ultra-Thin Carbon films have been confirmed to be stable under TEM operational conditions of 100 and 120 kV for practical use. Carbon only continuous films provide a thin electron transparent support for viewing nano and virus like particles. If your application requires a slightly thicker or thinner film then please tell us and we can modify future orders to your requirements.